This week's #xrayoftheweek is a chest x-ray, good for medical students, junior doctors, radiographers and allied health professionals to learn about. 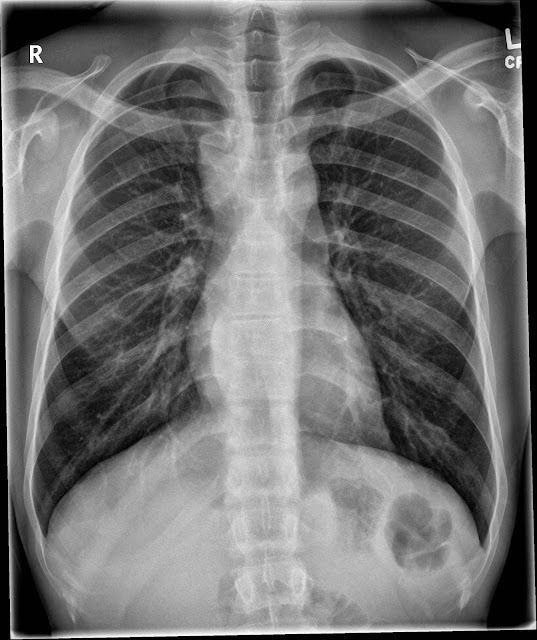 What three important signs are there on this CXR, and what would you do next? 1. Soft tissue density in the right paratracheal space. 2. Lateral displacement of the lower right paraspinal line. 3. 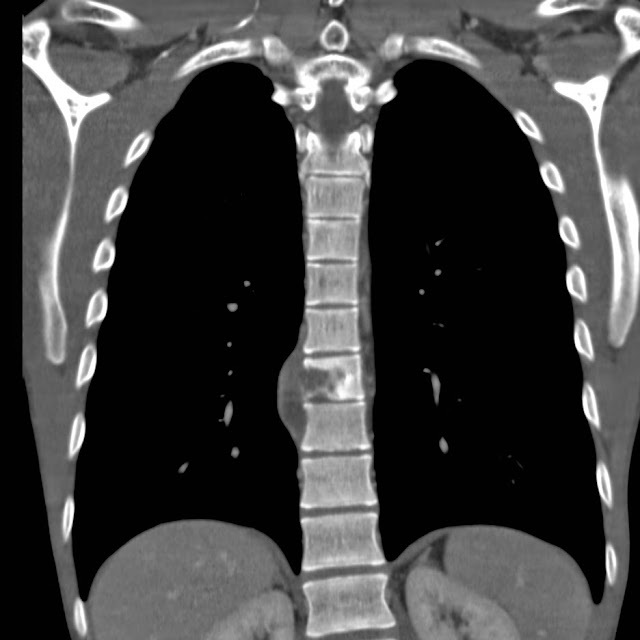 Loss of disc space at T8-9 level, at the level of the displaced paraspinal line. These signs can be interpreted as being due to a thoracic spine intervertebral discitis with an adjacent paravertebral collection, and adenopathy in the paratracheal space. This combination is classic for tuberculosis. 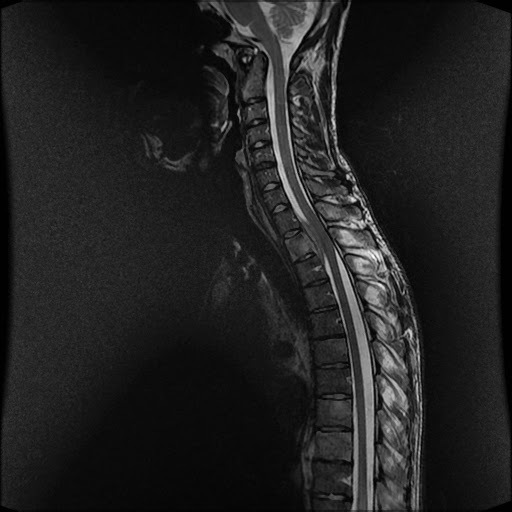 The oedema involving the T8 and T9 vertebral bodies on either side of the disc, typical of an infective discitis, is seen on this MR image. This also explain some neurological symptoms and signs the man had involving his lower limbs - oedema of T2 with an epidural collection causing indentation and mild compression of the cord at this level. Therefore, with the CXR above, MRI of the spine is mandatory to fully evaluate the extent of infective disc change and complications such as cord compression.